Explanation: Glare and exhaust from the three stage, solid fuel M-V-6 rocket punctuates a perfect launch of the Astro-E2 observatory. 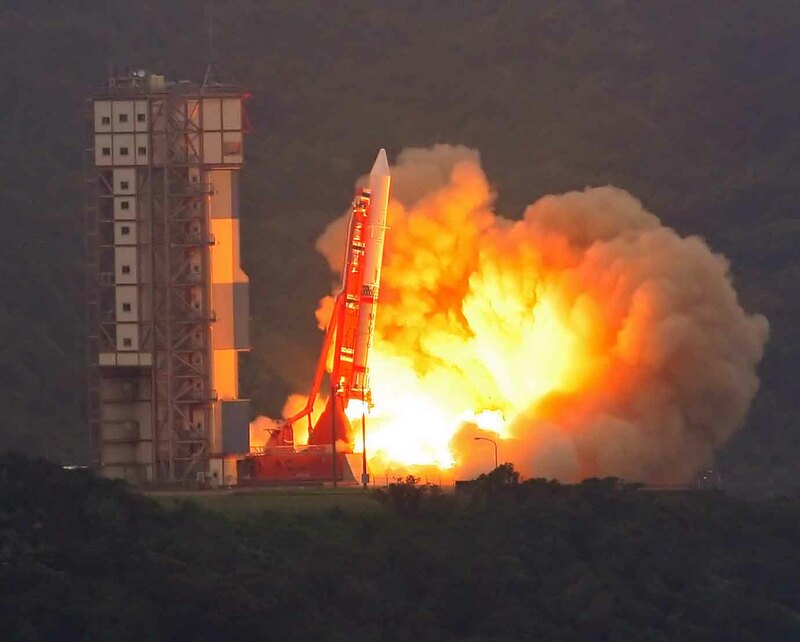 The dramatic picture was taken at the Uchinoura Space Center on July 10 at 12:30 JST. For dedicated astronomers, a celebration is definitely in order as this launch is a reflight of the Astro-E payload, originally destroyed in a launch failure in February 2000. Now being checked out in Earth orbit, the innovative instrumentation on board the satellite will explore the Universe in energetic x-rays. 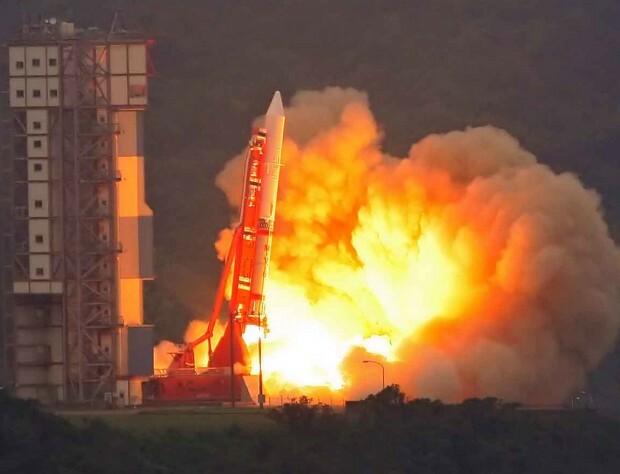 Following a tradition of renaming satellites after their successful launch, Astro-E2 has been newly dubbed Suzaku. Suzaku, a phoenix-like deity in mythology associated with the southern part of the sky, is a 'Red Bird'.